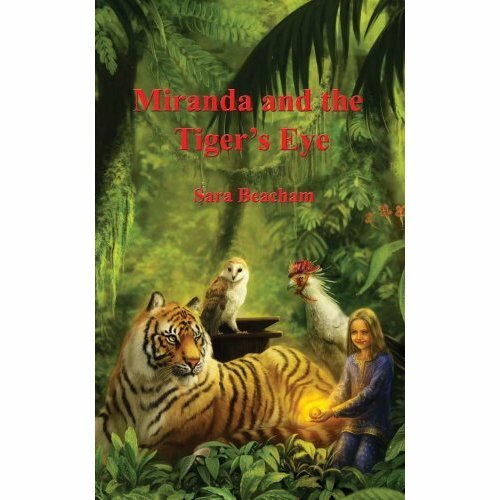 Recently stumbled across: Miranda and the Tiger’s Eye, by Sara Beacham. “Miranda’s adventure begins with a gift and a wish. The gift, from a collector’s shop in India, is a special stone that fell from a statue stolen long ago. The stone, called a tiger’s eye, is said to have magical powers. Follow Miranda as she literally falls into a journey beyond the mist. Along the way, she is joined by a talking Secretary Bird and Barn Owl. Together they search for the rightful owner of the tiger’s eye.” That rightful owner is a tiger named Raja, and Miranda’s journey to find him takes her, two talking birds, and numerous other animal characters on an adventure that critics have compared to both Lewis Carroll and C.S. Lewis. Miranda and the Tiger’s Eye is available from FOM Publishing. You can read more about it on Amazon.